Getting true SERP results is one of those things that it taken for granted. Google shows tailored search results. When you click on a site (such as yours) in SERPs, then next time you search it is higher up the list. 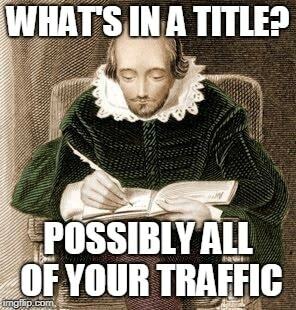 To the rest of the world, however, you didn’t actually go up in the SERPs. So what do you when you want true search results? For that matter, let’s take it one step further and what serp checkers are out there to help you keep track of your true position in the SERPs? 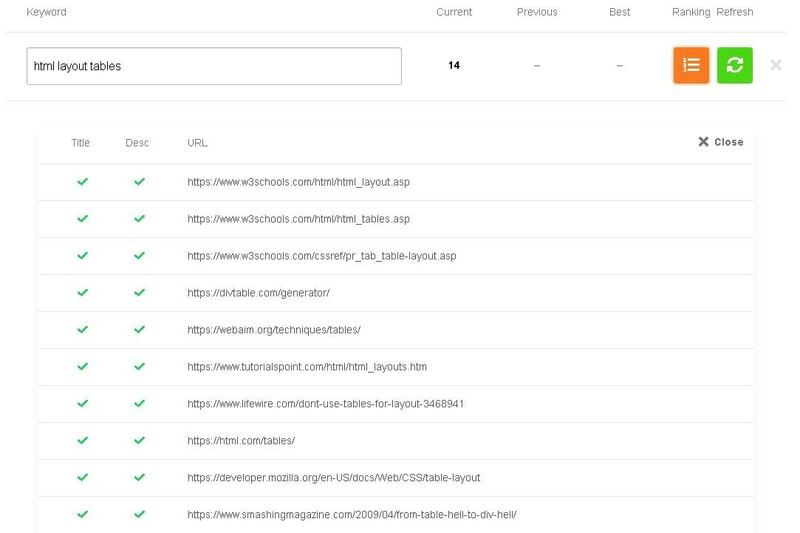 So let’s look at tools are out there, both free and paid, to help you get your true and unbiased search results position so you can track your efforts. Afterall, a good Google rank tracker is worth it’s weight in gold. There are several options when you’re looking to find your ranking. You can do this manually with enough work. You need to sign out of any Google account and wipe your Google cookies for starts. Either that or use Incognito Mode. Search for your term, and count how many results in you are. It definitely takes a bit of time to do this method. The problem is, it still isn’t your true SERP because you are still using your IP. So repeat the process but use a VPN. That should give you a good idea on the main Google site where you stand. You can even use VPNs to help get your ranking in international Google results. There are multiple options out there so the question is what is the best free serp checker. The FREE SERP checkers are a little bit more work but when you’re starting out, they’re plenty and did I mention free? What’s My Serp is a nice little simple SERP checker. 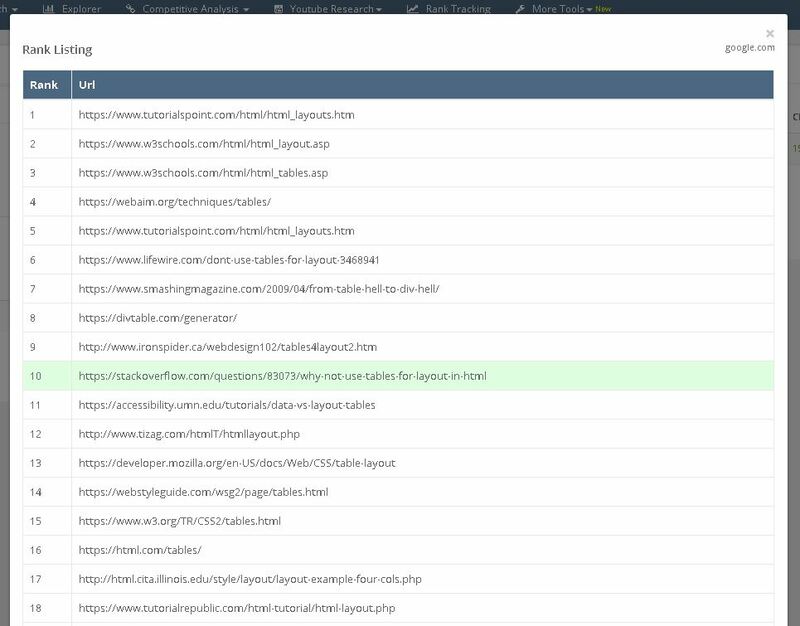 Actually this one is a multiple keyword rank tracker. You can have a list and check them all at the same time for comparison. This is one of my top 2 free choices. It’s just simple and works. And it’s free. One of the nice things on this checker is that you can create an account and it saves your keywords so you can come in and hit the Check All button and have it give you all of your results in a jiffy. To show how simple it is, I created an example and I used stackoverflow.com as an example site being in the top 50 on the net. You just put in the domain to check, and then in the keywords part you put in the term, html layout tables in this case, and hit the green refresh button and you get the SERP location. In this case, spot #14 is a Stackoverflow question Why not use tables for layout in HTML. Not bad for free tool. SEO Centro is another very capable tool to check your keyword positions. You do need to plug in what you want to search each time so it’s a little more manual, but it does offer the capability to compare against competitors in the SERPs. I plugged in the same query and domain to see how the results compare. You get with SEO Centro both the Google and Yahoo results, as well as the top 48 for both Google and Yahoo. As you might expect, there are many paid tools out there. These are, as you expect, very capable and can save you time. If you are already having success, for the time these save you they are likely worth the investment. One thing to note is that for many of the paid options, you are getting much more than just a SERP checker. The big difference is price, and what else you get as part of the SEO tool suite. 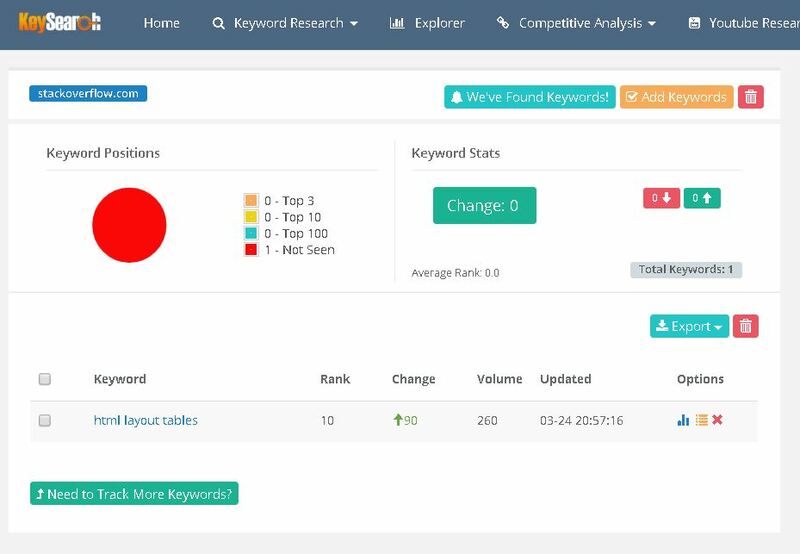 Keysearch.co is what I consider tops among the budget keyword research/rank tracking tools. I personally have a membership with Keysearch and I highly recommend it for rank tracking but also far beyond. I performed the same test using stackoverflow.com for the site and html layout tables for the term. As I am updating the extending the original article 7 weeks later, it explains the ranking differences. I have found Keysearch to have precise rankings. You get the above panel for each domain you are using the Rank Tracker on. You can export the results of your rank tracker to CSV, Text, or PDF. A graph ability so you can see on a bar graph how the ranking for that term has changed over time. So very capable as a rank tracker. And as I said before, these paid ones all come with extra SEO stuff. So what else do you get with Keysearch and how much does it actually cost? 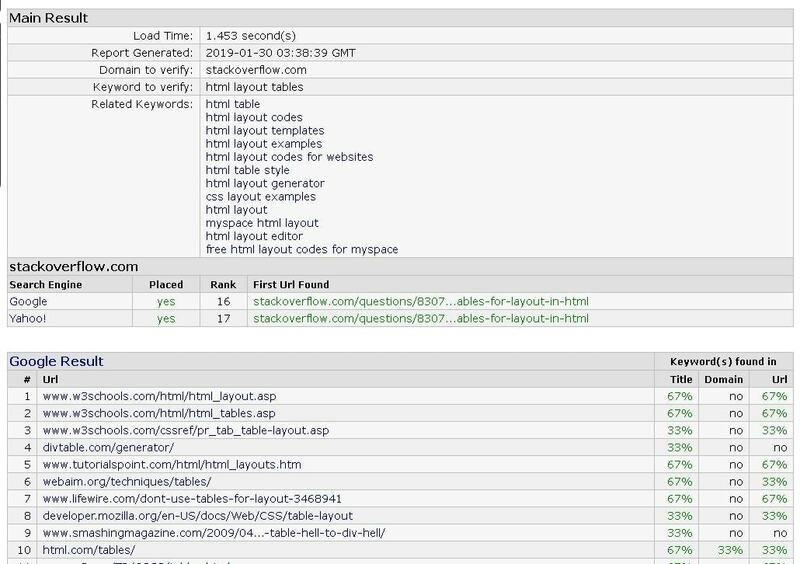 Plugging in the html layout tables term into the keysearch research (in this case using Keyword Planner as the source) you see the difficulty, and top results, how well optimized those are, as well as hundreds of related keywords. That’s just the tip of the ice berg but like I said, I highly recommend this one. Very budget-friendly and extremely capable. There’s even a free trial. So try Keysearch today if it fits what you’re looking for. Ahrefs is one of the go-to for anything SERP related, and it’s no surprise they have a SERP checker as well. There is actually both an instant SERP checker as well as an on-going Rank Tracker to track Google rank fluctuations over time. Ahrefs does have a trial right now of 7 days for $7 so it’s fairly cheap to try out if the free ones aren’t good enough for your needs. I will say if you don’t need much more than just SERP rank tracking and you’re on the newer side, then Ahrefs might be more than you need. 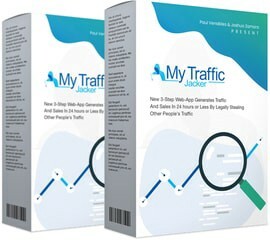 It has incredibly advanced and powerful tools for organic keyword traffic research and just all around some of the best for the money but you do pay for what you get. Starting at $99/month, this is a tool that you’ll know when you need it and you’ll know why at the time as well. SEMRush is a really great tool and one I’ve personally used many times and will continue to use. Within the Organic Research section, you can see how many organic terms the domain ranks for, as well as the Top-Ranked Organic Keywords and most active SERP changes. Checking within the Organic SERPs Position Tab, you get an entire list of all of the rankings. This is the core screen for the rank tracker within SEMRush. Obviously there is just too much information to actively look at. The highest volume keywords are likely the extent of scanning the list. Near the top is a Filter by keyword text box. Within that, you can put the html layout tables in there and see the current rank as well as expand the selection to see the rank over time. Not only do you get all of the ranking information, but you also get what the CPC are for paid bidding on the keyword which can help in determining how valuable ranking for the given keyword is. Domain overview – See how many organic search keywords you rank for, paid search (Adwords) traffic, the number of discovered backlinks to the domain, and display advertising. So overall a very complete tool. SEMRush starts at $99.95/month for the Pro account but they also have a free trial so check it out here. These are all really great tools I have listed above. If you are looking for something simple and free and you just want a simple rank for keywords you explicitly select, Whats My Serp has worked well for me. For the important keywords I use more than one free tool to confirm the results. If you want more information around certain URLs, you want to know what organic keywords you rank well for, or you want a general SEO report on a URL, then I would choose SEMRush or Ahrefs. Whether the free or the paid rank tracker works for you depends on where you are at in the website progression. If you’re on the earlier side then the free tools likely will appeal to you more. When you’re making money from the site and you want more information beyond just rank tracking, then the paid tools will give you a lot of value for your money. Just remember if you are working on all of this SEO, make sure to visit my article on the Essential SEO Tools that should be in your toolbox. If you are working on the SEO aspects of your site, I have many articles right here on the site for how to optimize your site to get an edge. Affiliate Disclaimer: I hope you have enjoyed this article. Please note that any links inside this article may be affiliate links. That means that if you sign up using one of the links, I may be compensated for this. The money we make helps keep this site up and running and creating high-quality reviews.